Today we have another great OXO giveaway. We have a put together a package including a hand-held mandoline and salad spinner. Both of us love to make fresh salads so we are always looking for a quicker way to clean and prepare our ingredients. 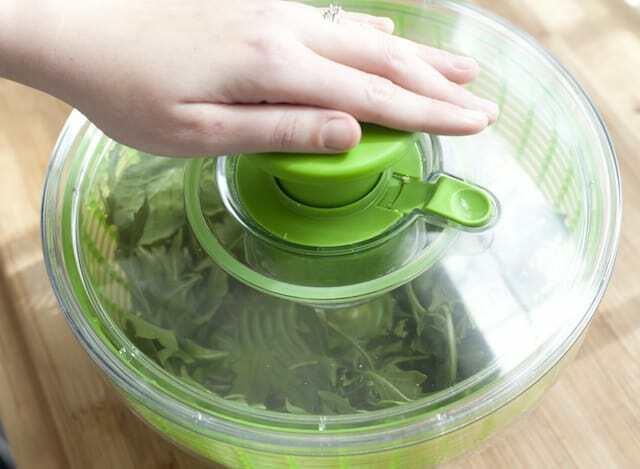 With the salad spinner you can quickly rinse and dry your greens and the mandoline will make it easier to prepare your carrots, zucchini, cucumber, tomato…the list goes on. You will be a lean mean salad making machine! For a chance to win enter below. P.S. After entering this one, make sure you glance at all open giveaways for more chances to win cool stuff, we love! 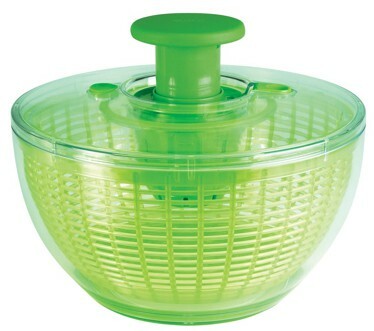 For fun and easy salad preparation, try the OXO Good Grips Salad Spinner, now available in green. Simply press the soft, non-slip knob to start the basket spinning. 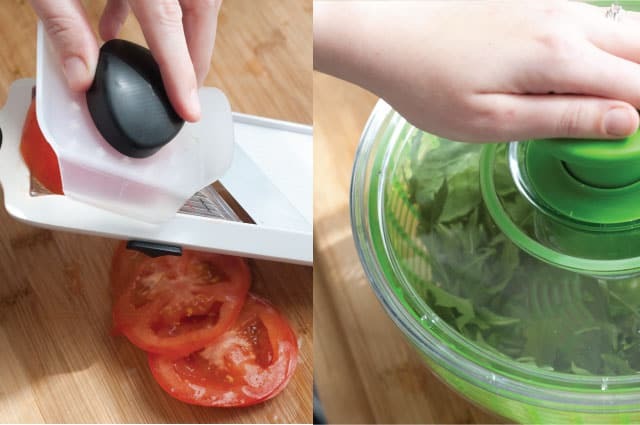 Easy, one-handed operation makes this Spinner a pleasure to use, and a built-in brake stops the Salad Spinner so you can unload it. A non-slip ring keeps the bowl steady on the countertop, and the basket and bowl can be used separately. 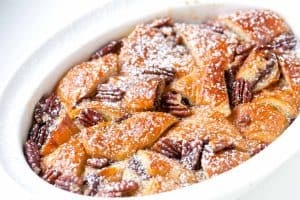 Making cucumber salad, an apple tart or a potato gratin? 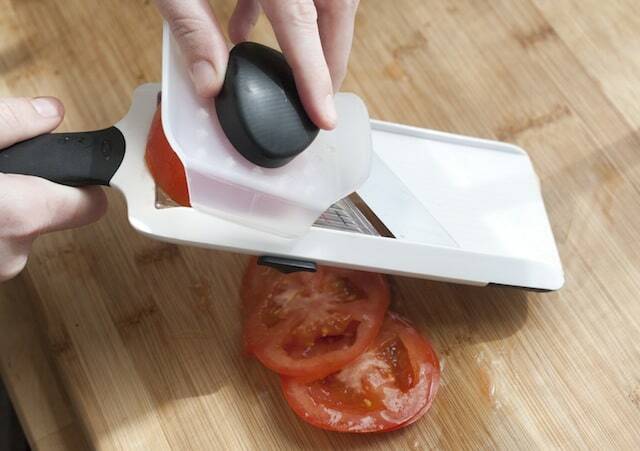 Try the OXO Good Grips Hand-Held Mandoline. Use the soft knob to simply adjust to the desired slice thickness, and slide the food over the stainless steel blade for perfect, even slices. A clear surface shows slices accumulating below. 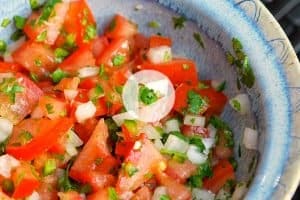 Slice on a cutting board or plate, or hook the soft foot over a bowl. A food holder protects hands and covers the blade when not in use. 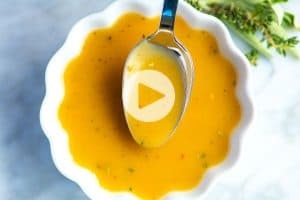 Watch this video to see how easy the Hand-Held Mandoline is to use! For extra luck, like OXO’s Facebook page!